In 1961, this rear-engined Tipo 63 was entered for the Sebring 12 hours with Stirling Moss and Graham Hill as drivers. 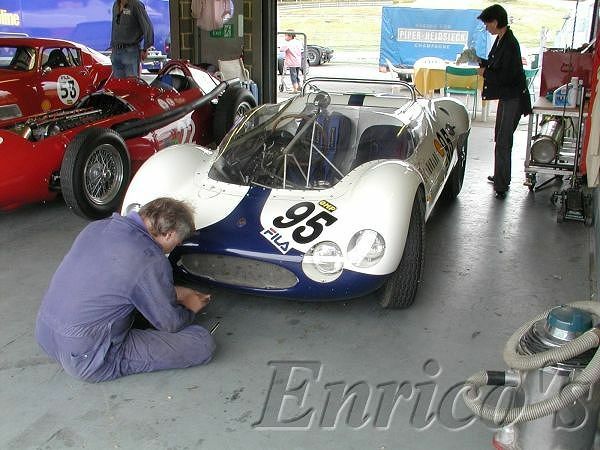 They didn't like the set-up and chose to drive the front-engined Tipo 61 instead. #63006 was driven by Lloyd Casner and Masten Gregory but retired with suspension problems whilst lying in 7th position. 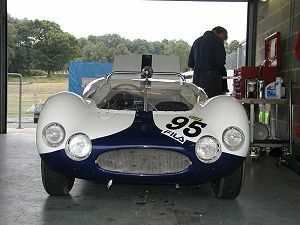 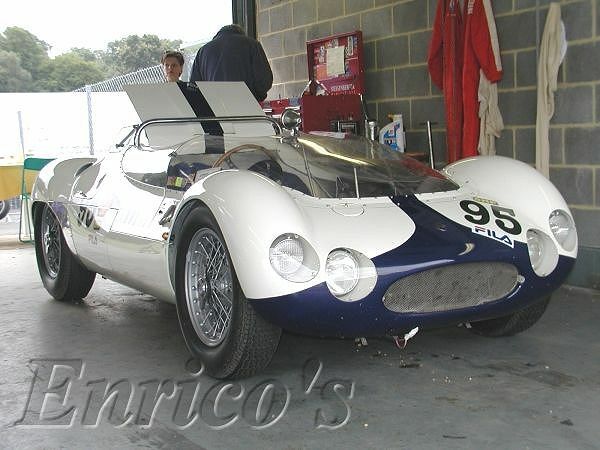 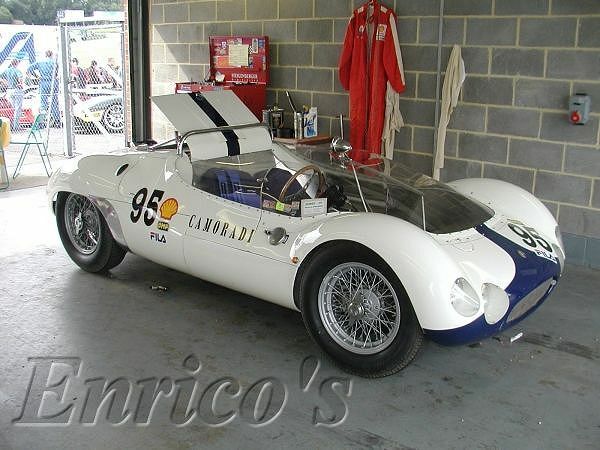 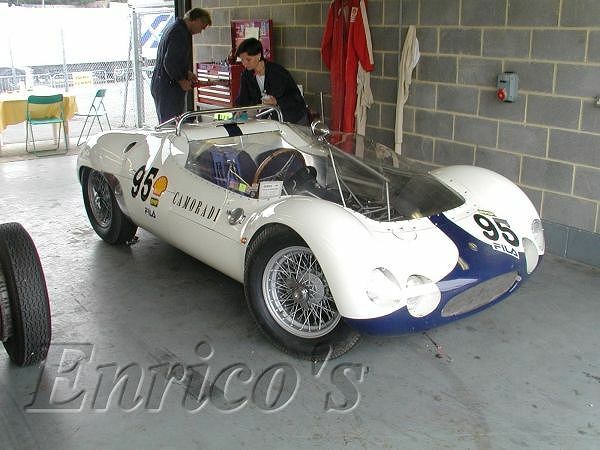 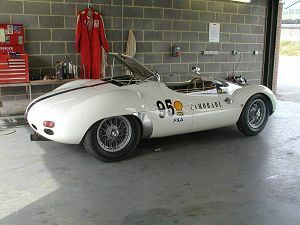 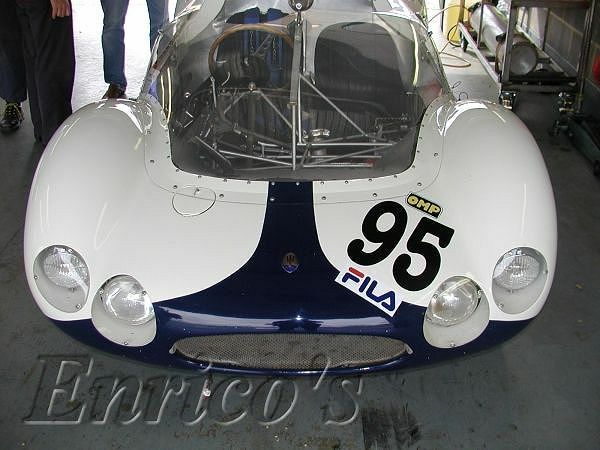 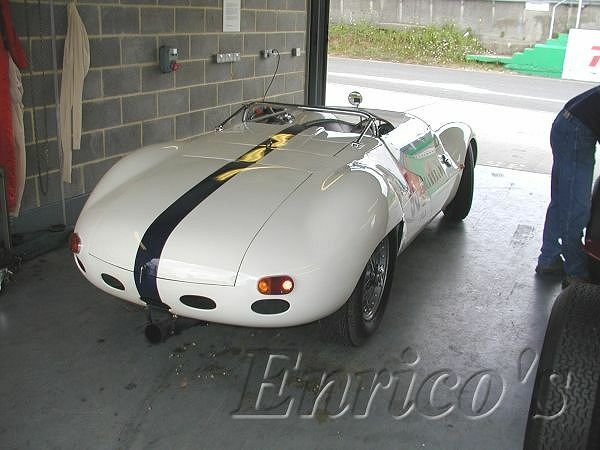 This Tipo 63 was entered in the Shell Historic Ferrari/Maserati Disc Brakes Challenge. In the first race it finished in 6th position driven by Ivan Scotti. Early plans for the Tipo 63 included a 3-litre V8 engine but this was dropped in favour of the race-proven 3-litre 4-cyl engine. Some Tipo 63s were fitted with a 3-litre V12 engine and re-designated Tipo 64s. 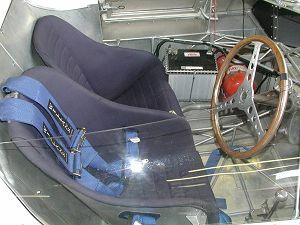 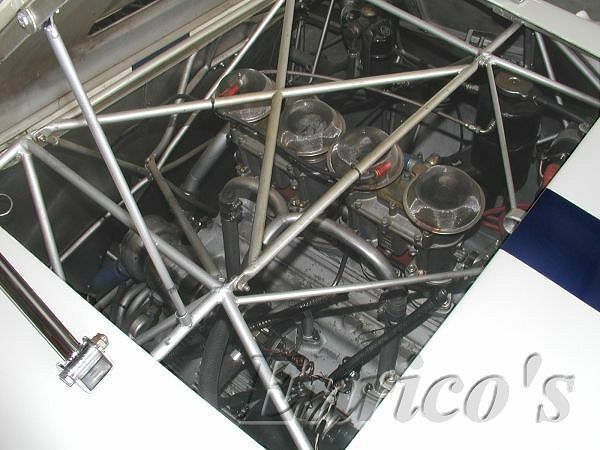 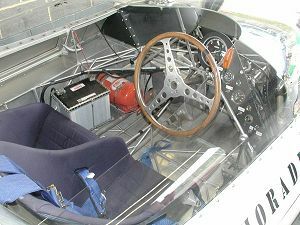 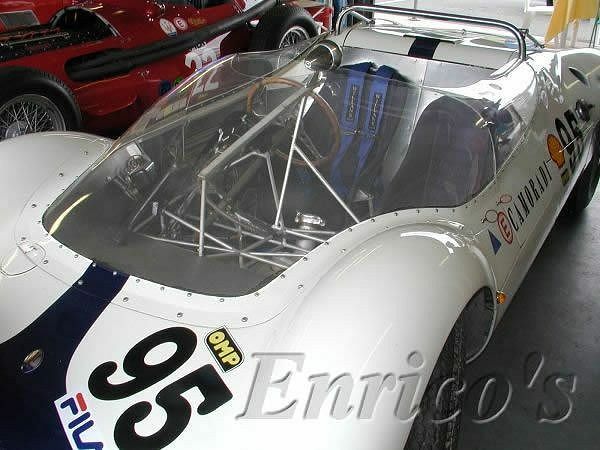 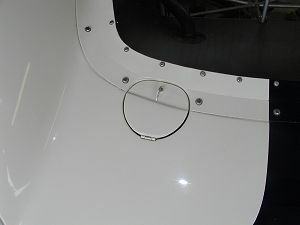 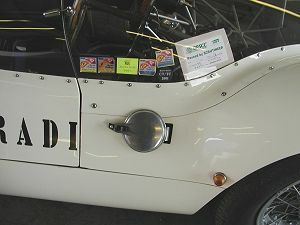 The captions of chassis 63.006 [the former Camoradi Tipo 63] perpetuates the notion that the Tipo 64 cars were converted Tipo 63s. In fact, they were brand new designs and they were quite different from their predecesors. 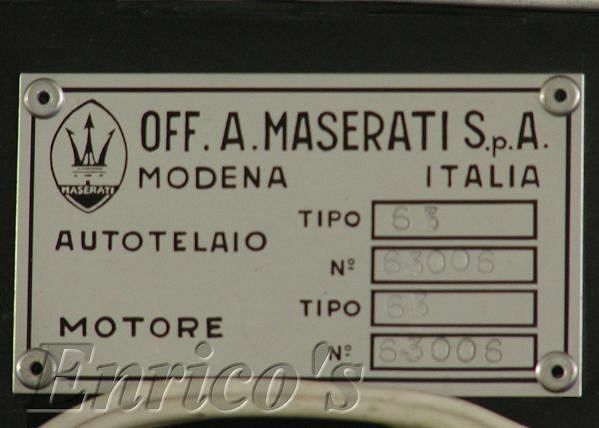 Since all Tipo 63s still exist today, this proves the point. 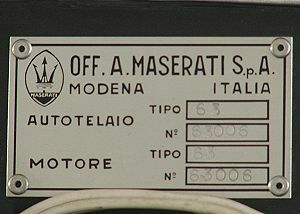 It was Joel Finn who started this piece of misinformation in the late seventies and nobody has challenged him on it so far, until February 2004 of course (see New Book Releases). These interior shots allow one to view Giulio Alfieri's extraordinary tubular structured design for the frame of the rear-engined 'Birdcage'. 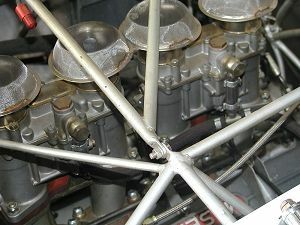 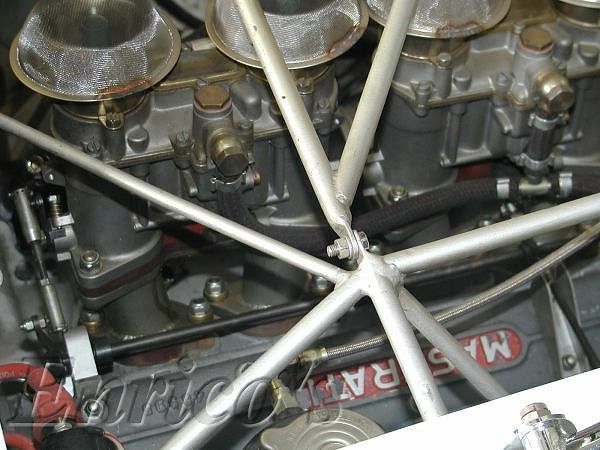 The twin down draught 48 IDM Weber carburettors. 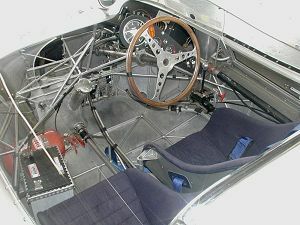 The four cylinder 3-litre engine was inclined at 58° to allow for the 48 IDMs. 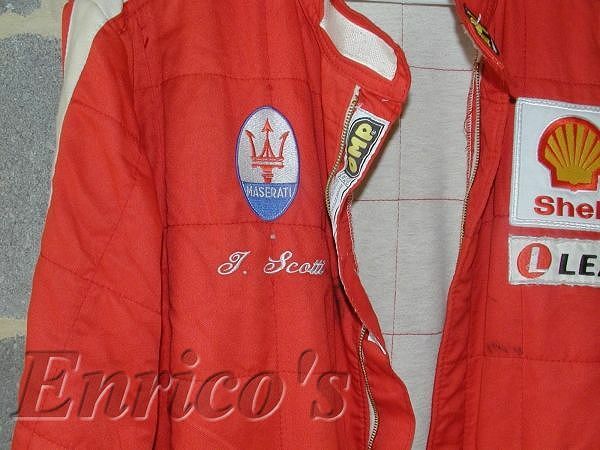 The Tipo 63 driver's race suit. #63006 was built in March 1961 for Team Camoradi.